In the sizable body of scholarship on Disney that exists across various disciplines, gender representation has been given noticeably short shrift by scholars. This is not to suggest that there are no scholarly precedents to Amy M. Davis's Good Girls & Wicked Witches: Women in Disney's Feature Animation. In fact, notwithstanding this current publication, From Mouse To Mermaid: The Politics of Film, Gender, and Culture (1995) by Elizabeth Bell, Lynda Haas and Laura Sells (editors) remains the topic's key text. Davis' book purports to conduct a study of female characters in the animated feature films produced by Disney from its inaugural offering, Snow White and the Seven Dwarves (1937) through latter day examples Lilo and Stitch (2002) and Treasure Planet (2003), though she delimits the parameters of her case study selection to films with human female characters. Given the supposed emphasis of this book on gender, it contains unnecessarily lengthy opening chapters that provide biographical, historical and industrial contextual information about Disney, both the individual and the studio. This material does little to equip the reader with much more than a cursory understanding of the socio-cultural context of the periods under discussion. A more appropriately contextualized investigation of the female representations in the case study films chosen would have more helpfully introduced both the gendered framework of the author's thesis, and the overall structure of the book. 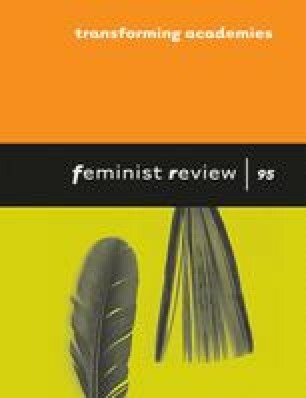 Davis attempts to debunk assumptions she claims are frequently made about the nature of female characters in Disney feature animations, namely that they ‘are full of weak, passive women’, (p. 10) which she does primarily through examinations of relatively under-examined films and characters, like Slue Foot Sue in Melody Time (1948) and Katrina van Tassel in The Adventures of Ichabod and Mr Toad (1949), which have not registered in the cultural memory or been canonized by video and DVD sales or theme park rides and characters. However, the selective cultural memory that has largely forgotten these characters, and that separates them from the much more widely remembered heroines of films like Snow White (1937), Cinderella (1950) and Sleeping Beauty (1959) is not explicitly acknowledged by the author. Hence the fact that some Disney films have experienced significant cultural afterlives and remain marketable commodities for the corporation is closed off as an avenue of potential investigation or critique as regards their gendered ideologies. Furthermore, in attempts to determine and then debunk conceptualizations of institutionalized representational ideology at Disney with respect to female characters, the book begs the question as to why the study should be limited to human characters of feature animations, when a broader approach might allow for a more comprehensive study lending greater credence and reliability to conclusions Davis draws from her case studies. For example, the importance of lead female characters in iconic, culturally resonant and highly successful live action films like Mary Poppins (1964) to gender representation in Disney's output can surely not be dismissed lightly. Similarly, with anthropomorphization such a stock representational device for Disney (as well as animation more broadly), Davis does little to explain what representational strategies serve to separate the human female characters under investigation from the many non-human ones that inhabit the diegetic landscape of some of Disney's most iconic films, and which are excluded as objects of analysis. In Chapter 4, Davis deploys a pseudo-auteurist approach that attempts to explain representation of women in Disney films based on some informed but ultimately indeterminable biographical speculation about Walt Disney's feelings about and experiences with women (pp. 110–116). This methodological route is problematic, not least because claims for intentionality regarding representation on the part of those with creative or institutional input is not easily qualified. Furthermore, with questionable methodological logic, the author attempts to compare female characters in her case study films to some from apparently arbitrarily selected contemporaneous live-action genre films. For example, the screwball comedies Bringing Up Baby (1938) and film noir The Dark Mirror (1946) are cited and discussed as comparable texts, apparently in order to contextualize Disney's treatment of women alongside that of Hollywood in the 1930s and 1940s more broadly (pp. 122–125). This is done with heavy reliance on work by E. Ann Kaplan and Karen Hollinger on female representation in Hollywood, from which Davis draws generalized and sometimes simplistic parallels to female characters and plots in her case studies, especially the ‘female double’ (p. 124) film that idealizes/demonizes femininity using two characters depicted respectively as good and evil. The gendered ideological ramifications of this archetypal dichotomy are acknowledged only slightly and perfunctorily. The most important and insightful points about Disney's representation of gender arrive late, as throwaway observations in the final chapter: the dearth of depictions of female friendship; the representational recurrence of female characters in competition with one another for the romantic attention of a male character; tokenism in representation of seemingly progressive or otherwise Othered female characters; and the common depiction of female characters’ existence in isolation from other women (p. 228). The author is reticent to unpack the ideological import of these observations, and they are not elaborated to a significant level of analytical detail in the main body of the text. This is a pity because had they functioned as the crux of the argument and anchored the discussion throughout, they could well have afforded the opportunity for the kind of sustained critique and contextual analysis of gender representation that is too seldom undertaken in studies of Disney. As it stands, the most notable feature of this book is that surprisingly few of its 274 pages actually deal directly with the representation of women in Disney animation. The opening chapters function well as a concise introduction to the history of Disney, but the book does not deliver a great deal of what it promises as regards to its ostensible focus on the depiction of femininity, and is hence restricted in its potential to make a significant intervention into either studies of gender representation in Hollywood, or of the output of the Disney corporation.